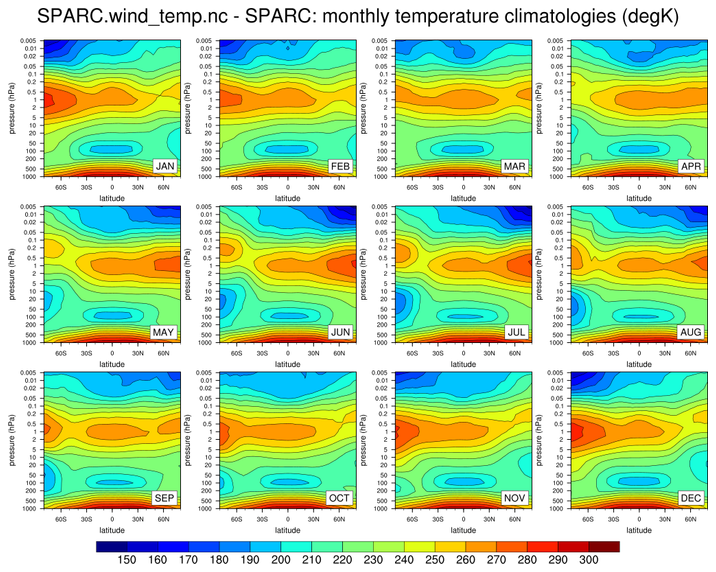 NCAR's Climate Data Guide (CDG) provides more information (search SPARC) including strengths and weaknesses of assorted data sets. sparc_1.ncl: A simple script to convert two ascii files to a single netCDF file. This netCDF file will be used in subsequent examples. sparc_2.ncl: Read the netCDF created by sparc_1.ncl. 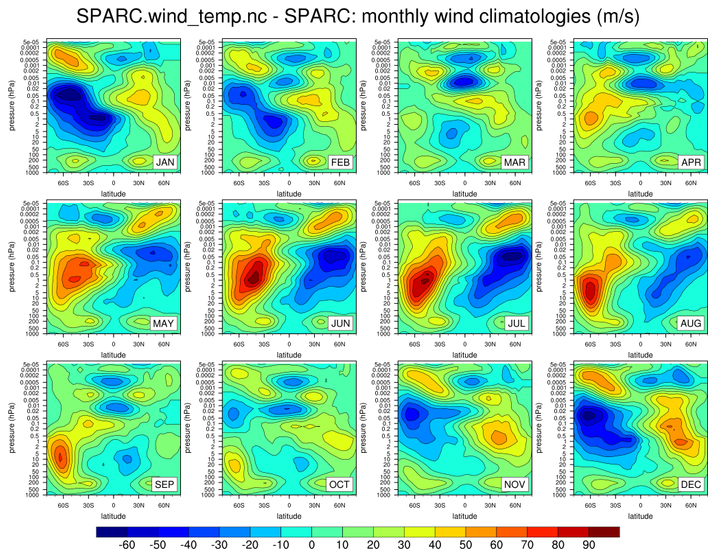 Create a panel plot showing each months climatology. These illustrate how to customize the left axis for an an 'irregularly' spaced y-axis.